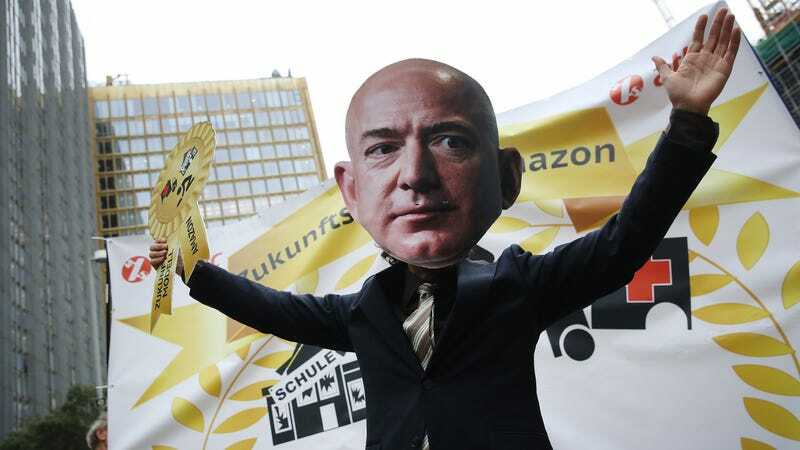 An activist dressed as Amazon CEO Jeff Bezos joins a protest gathering outside the Axel Springer building on April 24, 2018 in Berlin, Germany. The European Union is informally investigating how Amazon uses the data it collects from third-party sellers hosted on its website, Europe’s antitrust chief said Wednesday. Amazon openly collects data from its sellers and is legally allowed to use that information to improve its service. The question raised by EU regulators, however, is whether Amazon is putting third-party merchants at an unfair disadvantage by analyzing their sales in an effort to boost Amazon’s own profits. 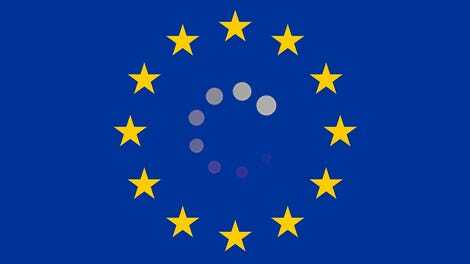 “We are gathering information on the issue and we have sent quite a number of questionnaires to market participants in order to understand this issue in full,” said Vestager, head of the EU’s competition commission. Vestager told reporters the issue revolved around major platforms hosting sellers on their platforms while simultaneously competing against them. Amazon declined Gizmodo’s request to comment. Vestager is oft-referred to as “the woman Silicon Valley fears,” a title propelled by a pair of antitrust fines she imposed last year on Alphabet Inc’s Google, totaling roughly $7.7 billion. Last October, Vestager’s commission ordered Luxembourg to recoup $300 million in taxes from Amazon, a decision rejected by both Amazon and Luxembourg, the latter of which was accused of illegally lowering the company’s tax rate.